Hello there all, hope you've been having a lovely weekend, despite the weather turning a bit ropey! After taking the dogs our for a run this morning I've settled in for the day and spread my stash out all over the dining table to carry on with my Christmas cards. I wanted to share this one with you 'cos I just love the ears on this dog! 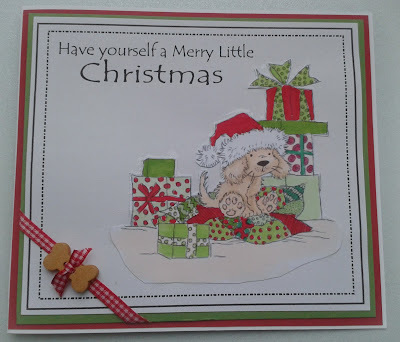 The wee doggy is "Christmas Puppy" from LOTV and is coloured with promarkers, went for a CaS layout for this card with border and sentiment created on serif, the font is Tempus Sans. The gingham ribbon is from my stash and the wee bone button was in a bag of goodies that my lovely Mum brought be back from a day out with her womens fellowship group. Awwww I love that cute image, fabulous colours and that little bone button is so cute. 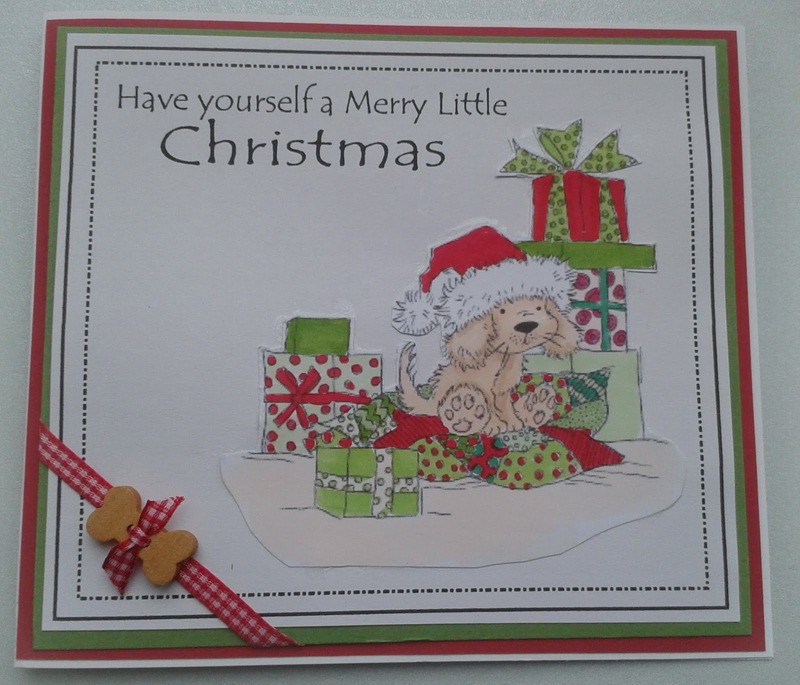 Thanks for joining us at Crafty Sentiments Designs this week, good luck! Oh, this puppy is adorable!!! Love the CAS feel to the card and that dog bone button is PERFECT! Thanks for playing with CSAYL. Great card! Thank You for playing along with the A Little Bit Crafty challenge this month!